There are many types of safety glass, such as toughened, laminated, heat soaked, heat strengthened and toughened laminated glass. Safety glass is required by law for a number of applications, such as glass in doors, glass over a certain sizes and glass in areas which would otherwise be dangerous, such as a shower. Additionally, the required use and siting of the glass may require it to be safety (certainly in respect of being toughened), such as a glass partition alongside stairs and a glass splashback behind a hob (due to the affect of the heat). Toughened Glass is manufactured when standard annealed also known as ‘Float Glass’ is heated past its annealing point of around 720 C and then rapidly cooled. The process transforms the glass so in the event of accidental impact it breaks down into small, blunt harmless pieces of glass thus reducing the risk of human injury. 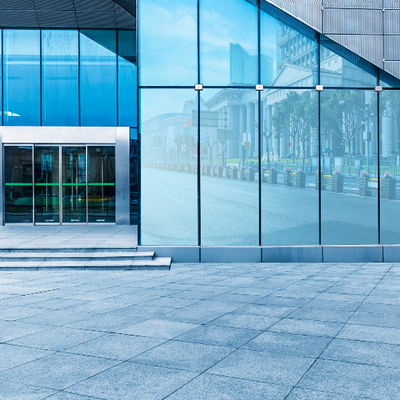 Being up to five times stronger than equivalent annealed glass panels, it also offers greater resistance to sudden temperature changes and windy conditions. The process also allows specific design requirements so any holes, edging or processing needed can be discussed with our team ahead of production and will be carried out prior to the tempering process. The nature of ‘toughening’ glass means that after tempering, the glass cannot be altered in any way so any design requirements should be planned. The process is utilized to expose NiS inclusions in Tempered Glass. It involves placing Tempered Glass inside a heat soak chamber and raising the temperature to approximately 290°C. This accelerates Nickel Sulfide expansion, causing glass containing Nickel Sulfide inclusions to break in the heat soak chamber and thus reducing the risk of potential breakage later. Heat Soaked Glass is still certified as a Safety Glass and the strength, appearance and thermal resistance of a Toughened Glass unit are not reduced under the heat soaking process. Heat Soaking is an additional process and while we recommend this process, please discuss your product specifications with your account manager prior to placing your order. The heat strengthening process increases the mechanical and thermal strength of the glass, increasing its resistance and making it twice as tough as Tempered Glass. The process is similar to that of the traditional process of glass tempering but the cooling cycle is less rapid; the heating temperature remains the same for both processes. 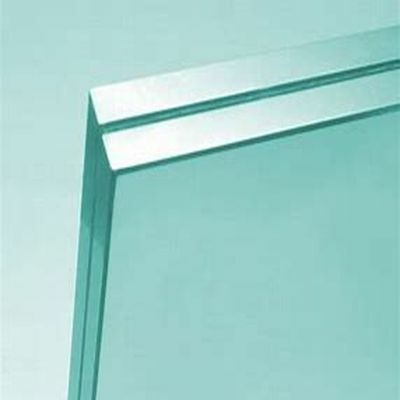 Due to the relatively lower rate of cooling during the heat strengthening process, Heat Strengthened Glass develops less stress as compared to fully Tempered Glass. 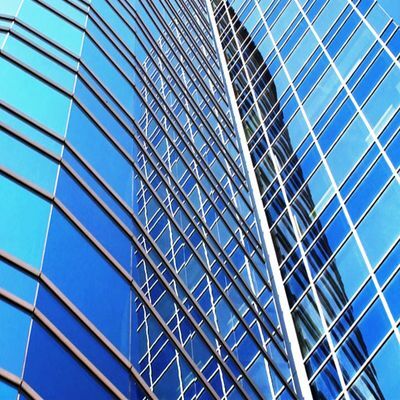 Heat Strengthened Glass is recommended for designing building facades, skylights (when laminated with Tempered Glass) and solariums. It’s typical radial breaking properties also ensure meeting maximum safety standards because the glass remains in the frame. Laminated Interlayer Glass is the optimum in safety glass. It is a stronger, more structurally sound and more resilient glass. The interlayer is bonded to the glass so that even if one panel of glass were to break or shatter, the panel would remain attached to the interlayer as opposed to falling to the floor. In most instances, the secondary panel would remain intact and still perform until a replacement panel is sourced. The concept of bonding two panels of glass, annealed or toughened, with an interlayer, is one that opens-up a whole world of possibilities in how a glass is used. The interlayer’s application and versatility allows it to perform as a UV radiation filter, a noise pollution filter, a fire rated barrier, or even a printable image. Computer Aided Design (CAD) & Computer Aided Manufacturing (CAM) – Investment in the latest technology means our team have all the tools required to facilitate the detailed engineering of a glass product. CAD software designs the tool paths that drive the CAM software, CAD turns the design in to a physical product. Our dedicated Auto Cad team are highly skilled and specialists in their sphere, and deliver both commercial and residential projects. CAD-CAM enables a faster production process and components and tooling are created to precise dimensions. 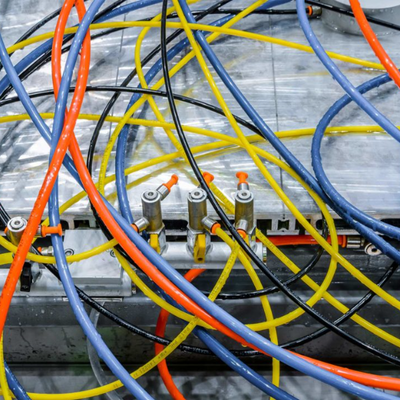 This intelligent technology calculates, with improved accuracy, the amount of raw material required for a project resulting in less waste, meaning it is good for the environment too. You can email your drawings direct to our processing department where your project will be scheduled. Whatever you need to know our friendly team are always available to assist with any CAD/CAM related queries. 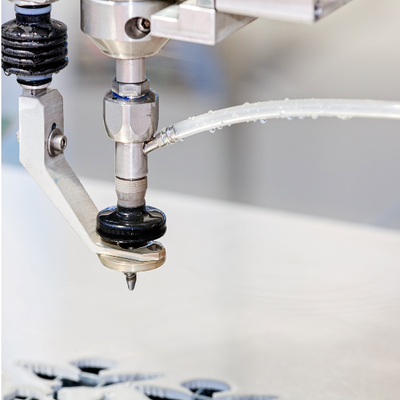 Waterjet Processing – The methods for precision glass cutting are typically blade or diamond tip cutting and both have historically delivered tight tolerances. When Lisec launched its ground breaking Waterjet Technology it revolutionised the glass processing industry and in 2007. The method uses sand and water to cut not only edges, but to drill holes, shapes and even cut outs. 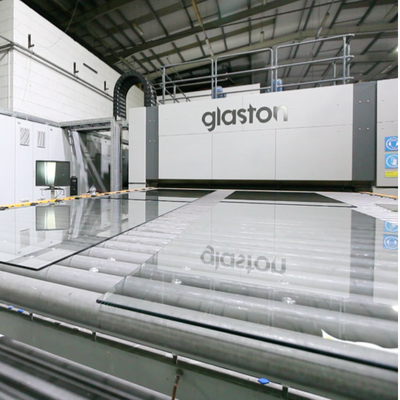 This method of glass processing is so dynamic it increased efficiencies 10 fold over traditional methods, and, its tolerances are so tight it delivers an exceptionally high quality product. 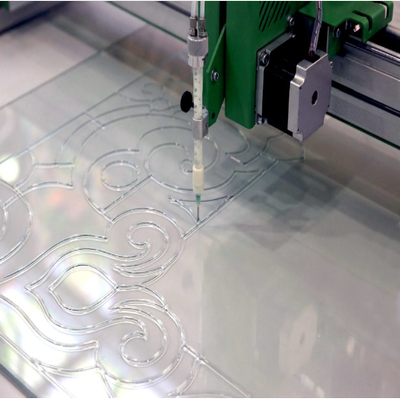 CNC Processing – (Computer Numerical Control Processing) involves processing glass with a precision tool which is guided by computer software with pinpoint accuracy. It is particularly intelligent and useful for bespoke designs, a curved edge or a circle for example. So, as the computer interprets the CAD design the tool translates it perfectly to the glass. This is a slower and more industrial process than Waterjet Processing, it relies on metal tooling rather than water and sand. The flexibility of this tooling enables the polishing of irregular edges, to produce all round clear edging.